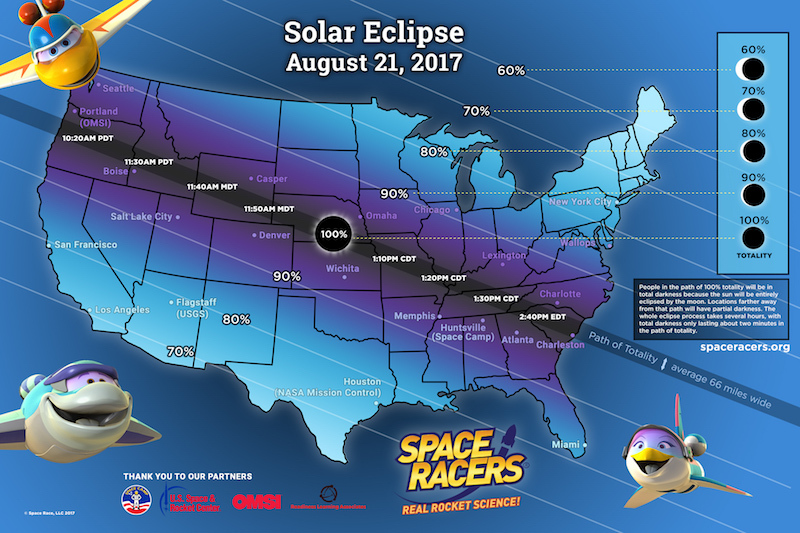 Space Racers thanks its fans and partners for a tremendous August Eclipse program, helping kids to safely view the 2017 Total Solar Eclipse! 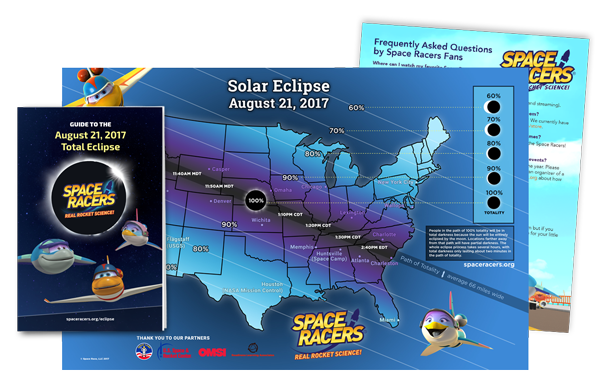 Thanks to the support of families and schools across the country, Space Racers has sold out of our Eclipse Viewing Kits and Glasses. We are now offering digital downloads of the eclipse map, viewing guide, and our FAQ free of charge! Just click on the yellow button to get yours today. 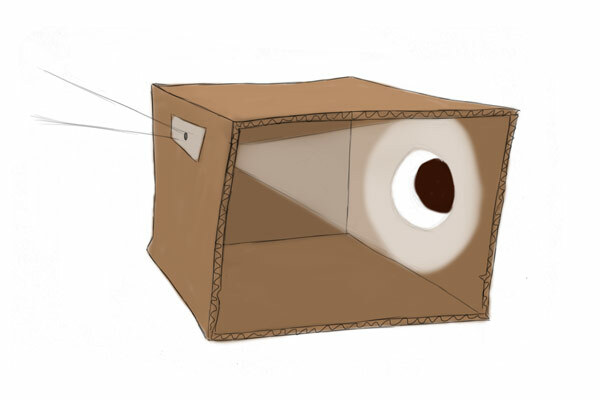 Make a projector, coloring pages, and more. Space Racers is an original, half-hour animated series for preschoolers that follows young spaceship cadets at the Stardust Space Academy as they soar through the Solar System. 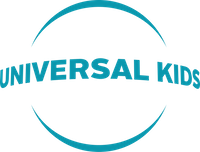 Young viewers will learn about the power of scientific investigation and observation, the wonders of space exploration, and the importance of working together as a team, all with fun and engaging characters they can relate to. The series, which airs on Sprout Network and streams on Netflix, includes science and technology components as part of an early childhood STEM curriculum. Space Racers is collaborating in a partnership with the U.S. Space & Rocket Center’s Space Camp, to which NASA serves as technical and educational consultant pursuant to a cooperative agreement. 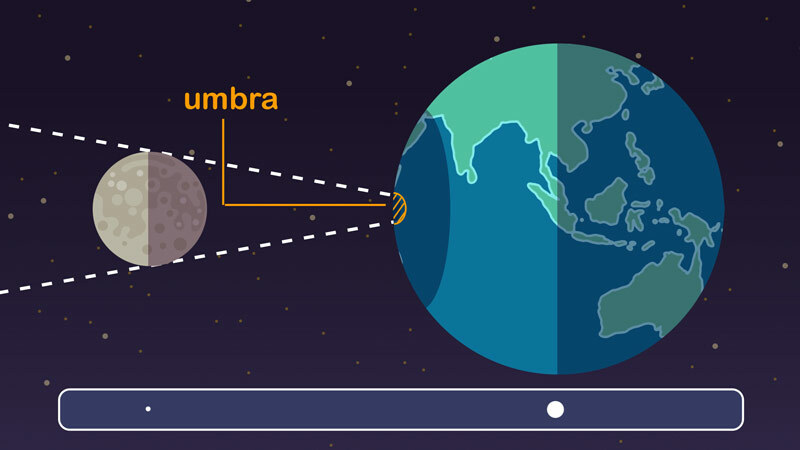 Learn about eclipses with the Space Racers!